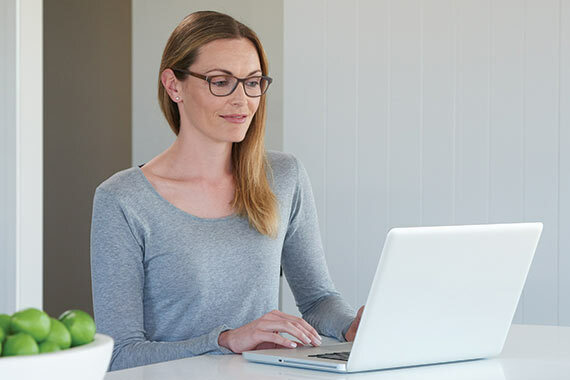 SEEMAX AP’s design takes your own eyeglass frame shape into account to optimise the viewing area where you need it most: inside your frame. 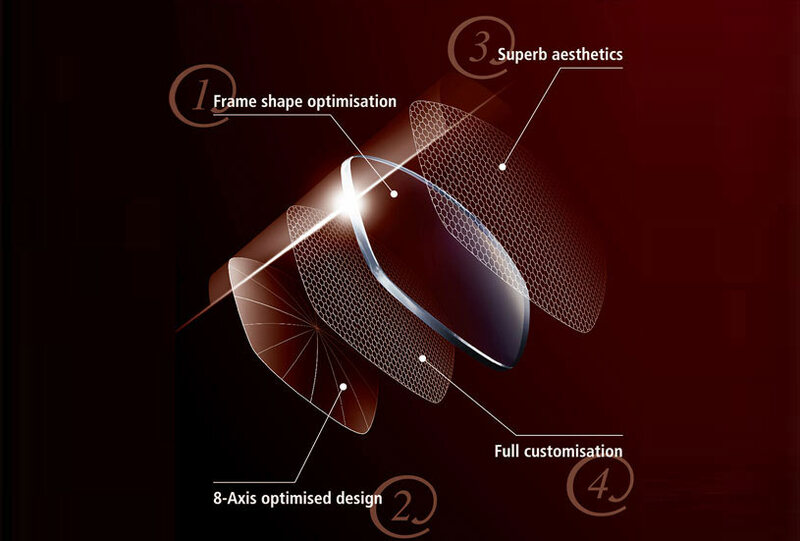 This unique design feature delivers unsurpassed visual performance across the entire surface of the lens. 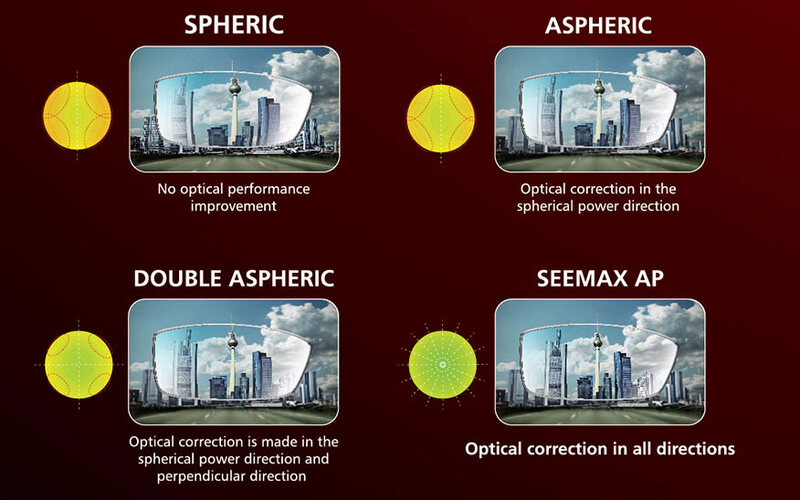 Unlike conventional lenses, SEEMAX AP is designed with an 8-axis cylinder optimisation. The design allows consistent aberration reduction including oblique astigmatism, providing better vision as a result. 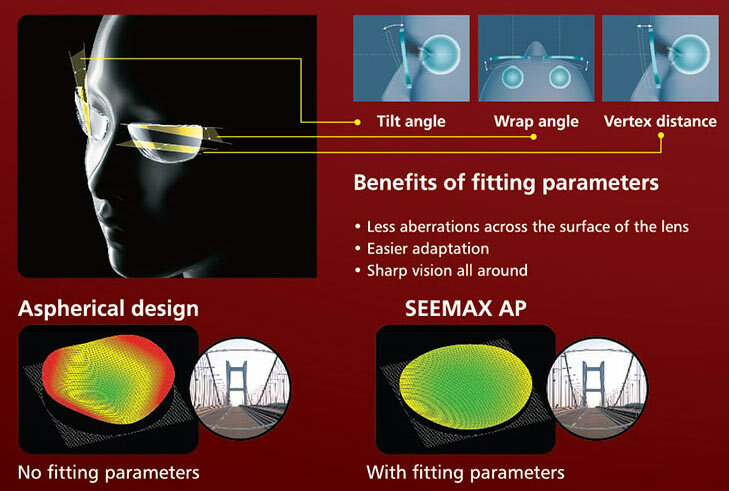 SEEMAX AP’s curve can be adjusted to match the curvature of your frame for better aesthetics. 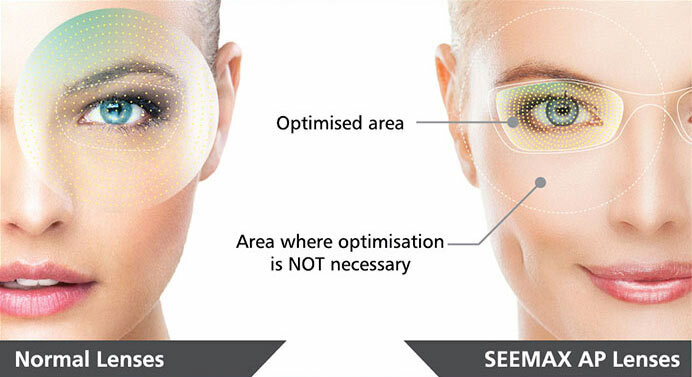 Fitting parameters define the position of the lens of the wearer’s face. 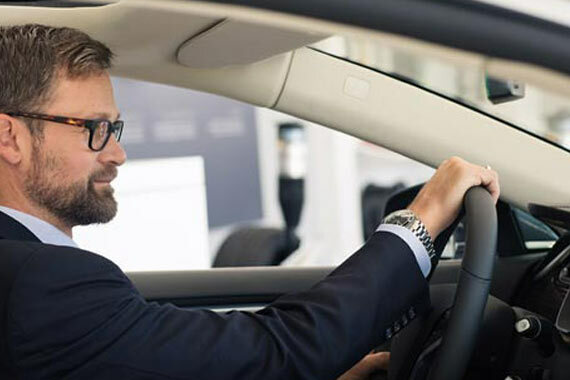 SEEMAX AP’s customised design takes your parameters into account to ensure the highest level of comfort. SEEMAX AP has two usage custom designs, the all-round usage design and near distance design. For wearers who need to see near, mid and far distances equally. For wearers who mostly use their eyeglasses for indoors reading working on digital devices and watching TV.